One of the longest-lasting, low-end television brands, Sylvania has made a name for itself by providing excellent products and customer service for a price that is far below those of the major consumer electronics manufacturers. The company has been doing business since 1961, and has been with American consumers for much of the time as the primary supplier of low-priced home television sets and other electronics such as VHS, DVD, and Blu-Ray players. In more recent times, the Sylvania brand has been sold almost exclusively by discount stores Wal-Mart, Sam’s Club, and Kmart. 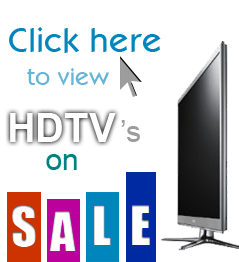 Searching for a specific Sylvania TV review? It takes a strong commitment to quality and customer satisfaction to survive as a generic consumer electronics brand in America for more than five decades, and Sylvania has that type of commitment. The company’s breakout success was its traditional, tube-based television sets that were sold for several decades to cash-conscious consumers in North America. Those sets were legendarily reliable, and they set the company up as one of the best manufacturers of consumer electronics anywhere. Of course, that’s no surprise: the company’s parent, Funai Electronics, is based in Japan, which also plays host to Sony and Panasonic. Quality seems to run deep for many Japanese electronics companies. There has never really been an issue with the quality of Sylvania’s products; the company entered the market as one of the most reliable brands in any price range, and it maintains that reputation today as consumers purchase its LCD and LED-LCD television sets for substantially discounted prices. Where many other manufacturers have suffered customer backlash as a result of low quality, short overall lifespans, or other quality issues, Sylvania has continued to churn out some of the most stellar consumer electronics for budget-conscious customers everywhere. Of course, it’s worth noting that Sylvania won’t win any design awards — and none of their products has ever been particularly inspiring. In this sense, it all depends which type of quality matters to a customer: the quality of the actual materials and display pane, or the quality of the device’s industrial design. Sylvania products are durable and long-lasting, but they’re also basic in appearance an uninspiring amid the product offerings of consumer electronics manufacturers. Simply put, Sylvania’s pricing structure is among the most consumer-friendly in the industry. The company competes with other low-end manufacturers on price and, thanks to its partnership with discount department stores like Kmart and Wal-Mart, the company often negotiates a great deal that lowers its distribution costs and thus the overall cost of its television sets. That all means good things for consumers, who are increasingly tightening their budgets and making sure that their purchases are as affordable as they are exciting. In the realm of value, Sylvania’s sets also stack up well against both generic manufacturers and the bigger brand names. The company’s sets are known to last for roughly the same amount of time as competing big name models, and the lack of repairs or returns virtually assures that customers will have a lower lifelong cost of ownership than with many other brands. For this, Sylvania gets a good deal of bonus points. Every HDTV sold by Sylvania through its retail partners comes with an included standard warranty, although this warranty coverage is not typically able to be extended through Sylvania itself. Many retail outlets which sell these low-priced television sets offer their own warranty extension programs, which can cover the HDTV for repairs and replacement for between one and five additional years. As a generic brand, it’s easy to understand why Sylvania doesn’t offer this type of extended coverage on its own, although it’s a bit disappointing nonetheless. The company offers several support resources on its website, including instruction manuals and frequently asked questions. Customers also have access to a toll-free customer hotline which is in service 24 hours per day, seven days per week. The company gets high marks with customers for its customer satisfaction efforts, which is reassuring for a lower-priced brand. Unlike many lower-end consumer electronics brands, Sylvania has a half-century reputation that precedes it. Customers can rest assured that the company’s commitment to value and high standards of quality is unwavering, just as it has been in the past. The company’s high definition television sets are highly reviewed by the vast majority of customers who have purchased them in recent years, and most of those people are — quite tellingly — repeat customers for Sylvania who are merely upgrading to an HDTV for the first time. For the right combination of quality, value, and excellent longevity, Sylvania’s HDTV models are right choice for budget-minded consumers who are looking to keep their expenses down, but their technology current.